Come one Come all! 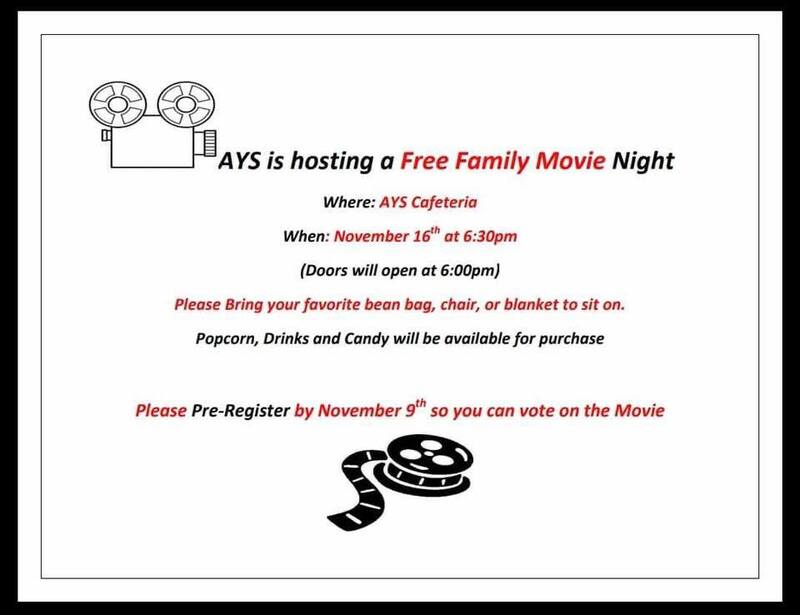 Join us at AYS for a fun and free time. Bring your own blankets, beanbags and/or floor pillows for a comfy cozy time ! Popcorn, candy and other snacks as well as drinks will be available to purchase. Greetings AYS and Phoenix community. The board would like to reach out to the community and let everyone know we understand and are working hard to improve our communication and do the best we can to provide the best possible experience for our kids. We had a successful meeting this morning with a great public turnout and with constructive feedback, we were able to address and correct an issue that was brought to our attention. Going forward our objective is to continue to improve and better the program and learn from our mistakes. Please remember that the board is just a group of volunteers made of blue collar workers, white collar workers, veterans, educators, health care workers, parents, and one incredibly attractive male model (Alan Mitchell, yes I wrote this giving our time trying to grow and improve just like everyone else. We encourage public participation and feedback. We want feedback, we want constructive criticism, we want to hear your concerns, we want new ideas, we want more members, we want to be better and get better so we can grow a reputation as a GREAT program!! So please, please, please reach out to us or come to meetings so we can continue to improve. In order to continue to be the best we can as the AYS board and as a community we need to all remember what AYS really is. AYS is our kids, our coaches, our parents, our board members, our volunteers, and we need to all come together as an "Us". As a board we want/need your support and we want the community we serve to know we're not here to be an "Us vs. you/them" we're here to come together and be an "Us". 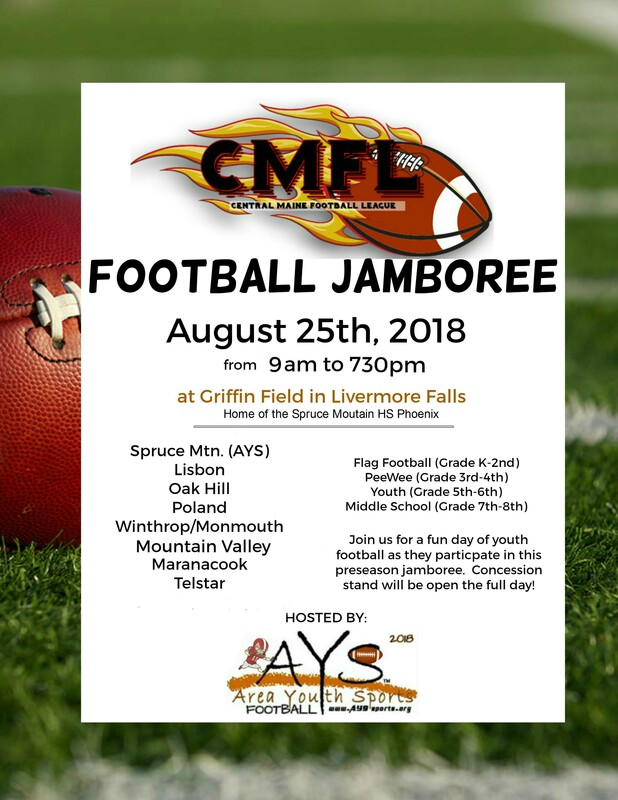 Flag Football Clinic is for children in grades K-2nd! Clinic will take place July 23rd-25th 430-6pm. Cost of clinic is $20.00. PARENTS MUST BE PRESENT THE 1st DAY OF CLINIC TO DO OFFICIAL CLINIC PAPERWORK! 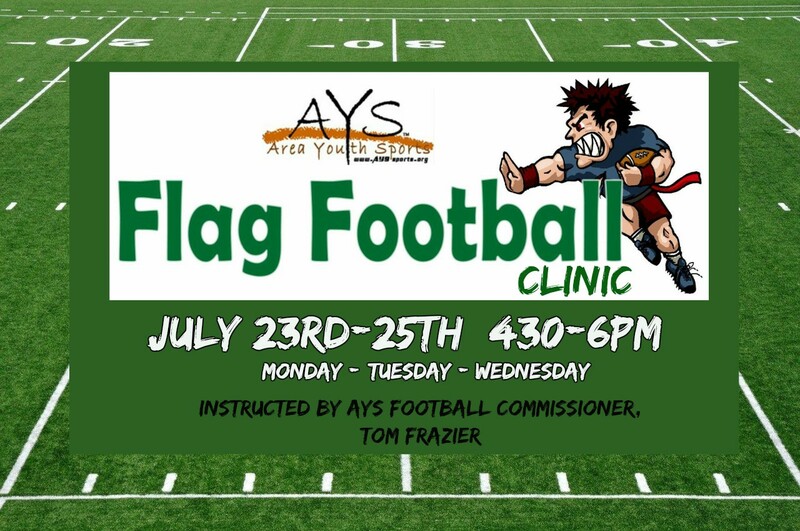 **Register by emailing board@ayssports.org, texting or calling 207-754-9601 with Childs Name and Choice of clinic, Parents name and contact info. Full Registration Cost is due the first day of clinic. Payment plans are available if needed. Drop-ins are welcome on any day at any clinic. Registration cost by day is due before any participation occurs. 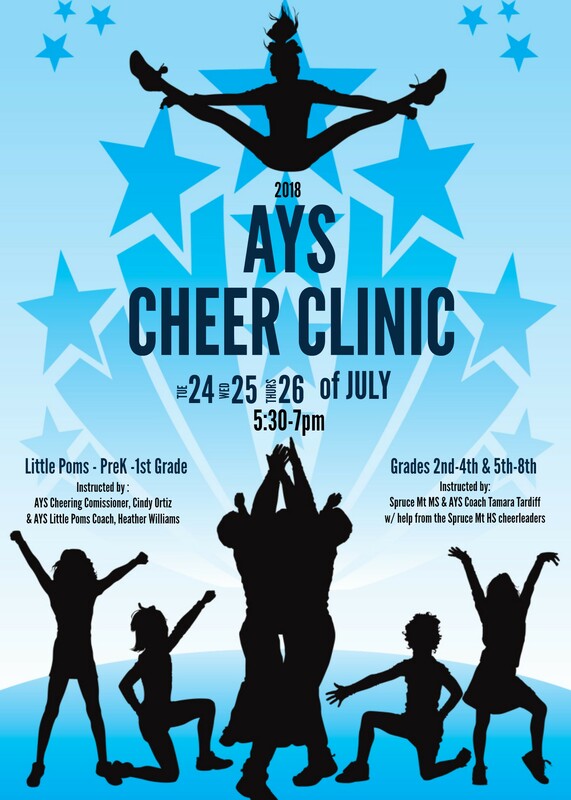 Cheering Clinic: Grades Pk-1st, Grades 2nd–4th & Grades 5th-8th July 24th–26th 530-7pm. $20.00 For all Days or $10.00 per day. ~WHO'S READY FOR SOME FOOTBALL! !~ Dont forget to register for our upcoming Football Clinic, ran by HS Coach Frey!! 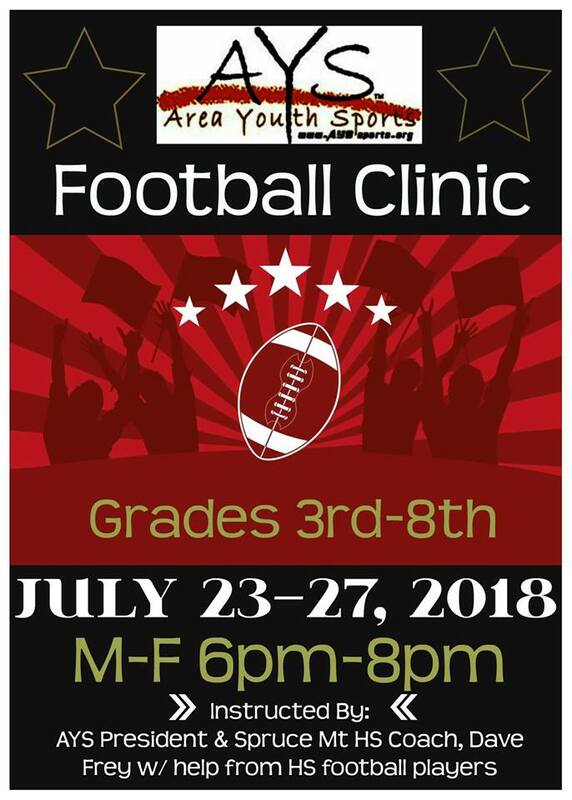 Grades 3rd-8th .July 23rd – 27th 6-8 pm. $40.00 For all Days or $10.00 per day. Are you a part of our AYS V.I.P Club, if not would you like to be??? 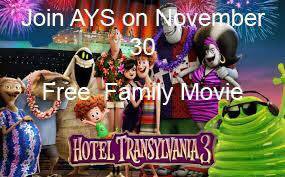 AYS NEEDS our community members support! We are always looking for volunteers to help in all areas of the program! Now you can feel good about your contribution AND earn credit towards a $40 voucher. Every person donating 10 hours of their time to AYS will receive a voucher worth up to $40.00. What a great way to keep costs down for everyone and keep some money in your own pocket while your child enjoys learning a new sport or learning new skills in a sport they already play! With the fall season quickly approaching, we will have lots of volunteer needs! If you are interested in volunteering and becoming part of the V.I.P Club, please join our AYS V.I.P Club group page! We will use this page to put out all our upcoming volunteer opportunities! AYS is always looking for volunteers and is proud to say that if you give us a hand, we will give you a hand!!!!! 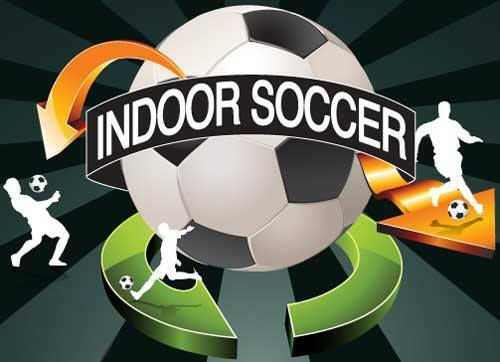 AYS is excited to announce that we will be offering Indoor soccer again this year. This season we have a new instructor, Dave Nelson and our participants will be receiving an Indoor Soccer shirt!! This program is for boys & girls, grades K-5th. It will be competitive games. Cost of program is $30. Spaces are limited so sign up today! Signups open online at www.ayssports.siplay.com and will close Friday, February 18th.